The Nashville housing market appears primed to carry over momentum from a strong finish in 2014. Not only did homes in Nashville appreciate nearly twice as fast as the rest of the country over the course of 12 months, but home sales also continue to outpace the previous year. With a median home price of $191,800, the Nashville real estate market is still affordable, despite three years of appreciation. The national average is nearly $30,000 more, making the Nashville housing market particularly attractive to younger generations. However, over the past year, appreciation rates in Nashville have nearly doubled that of the rest of the country, 8.2% and 4.7% respectively. Homes purchased in the Nashville housing market one year ago have appreciated, on average, by $17,142. The national average was $12,783 over the same period. Homes purchased in the Nashville housing market three years ago have appreciated, on average, by $43,622. The national average was $55,406 over the same period. Homes purchased in the Nashville housing market nine years ago have appreciated, on average, by $49,687. The national average increased $3,419 over the same period. The Nashville housing market has become the beneficiary of significant activity. In the face of rapid appreciation and the cold of winter, homes in Nashville continued to sell at a remarkable rate. According to the Greater Nashville Association of Realtors, last month saw a total of 2,838 transactions come to a close. At that pace, home sales jumped more than 16% over the course of a year. However, it was not just the final month of the year that exhibited healthy closing activity. The entire fourth quarter witnessed 8,327 closings. Again, at that rate, the fourth quarter saw nearly 16% more closings than the previous year. Perhaps even more importantly, experts familiar with the market predict the trend to continue into 2015. There is nothing to suggest that the healthy market conditions in Nashville will go away any time soon. Much like Seattle in the Pacific Northwest, Nashville is trending upward with little to slow it down. With closing transactions up on the entire year, 2015 is expected to continue the momentum in the Nashville housing market. In fact, pending home sales are particularly encouraging, and should continue to boost the housing sector. At the end of the year, 2,458 homes were pending sale, that is the most since 2007. The Nashville job sector, much like that of Portland, continues to drive supply and demand in the housing market. For all intents and purposes, Nashville hosts one of the better job markets in the country. With an unemployment rate of 5.3%, Nashville is doing better than most of the major metropolitan cities in the nation. In fact, the unemployment rate is only expected to get better in the coming months. Already having demonstrated the ability to decrease the unemployment rate over the course of a year, more people are expected to be able to find jobs this year. Moreover, the strong job sector will support the already promising housing sector, making Nashville a great place to invest in. In addition to a strengthening job sector and an active housing market, Nashville has one more promising aspect: affordability. That said; homeowners in the Nashville housing market spend nearly half as much on their mortgage than the majority of the rest of the country. Whereas Nashville homeowners usually spend about 9% of their income on their mortgage, the national average is just over 16 percent. While Inglewood and West Mead top the list of most popular neighborhoods, with average listing prices of $300,036 and $764,400 respectively, there are other neighborhoods to keep an eye on. Investors, in particular, are advised to look into Village By The Creek, as its average listing price increased more than 67% in a matter of a week. Homes have recently peaked at $88,000 in Village By The Creek. The activity witnessed in the Nashville housing market has earned it a healthy designation by Zillow. 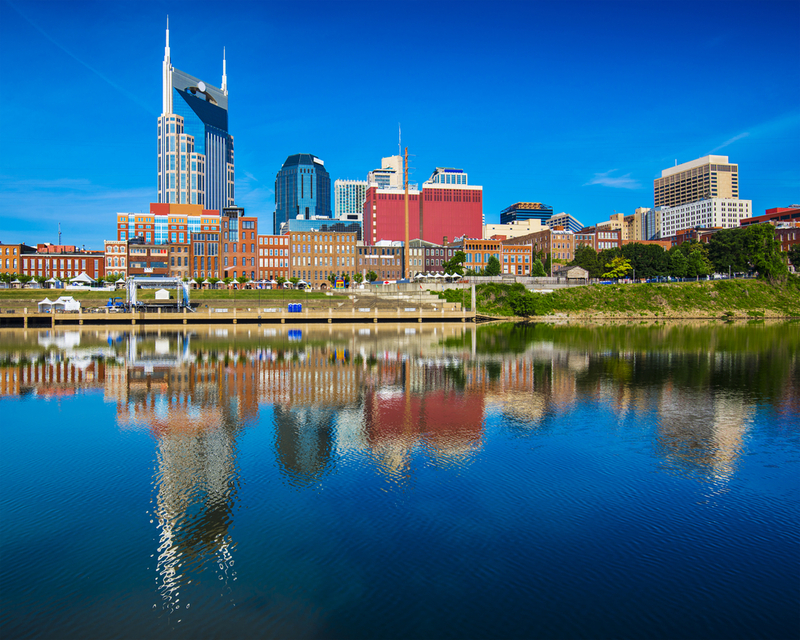 A Brooking’s recovery analysis also placed Nashville on the top 10 list for cities that have demonstrated an increased propensity for recovery. Other cities on the list include: Austin, Houston, Dallas, Baton Rouge, Oklahoma City, San Jose, Denver, Knoxville and Portland. In fact, Nashville scored a 6.8 out of 10 on Zillow’s Market Health Index. Moreover, experts believe that home prices could increase by as much as 2.8 percent in the coming year. Nashville, like every major metro, is home to its fair share of delinquent mortgages. However, when compared to the national average, Nashville has nearly half as many homeowners that are late on payments. Currently, 3.5% of the homeowners in Nashville are behind on their mortgage, but that is a far cry from the 6.4% across the rest of the country. However, when it comes to underwater homes, Nashville is not doing quite as well. At the onset of 2015, More than 12% of the homeowners in Nashville owed more on their house than it was worth. With the New Year upon us, Nashville will continue to strengthen, both from an economic and housing standpoint. What we saw at the end of 2014 was not a fluke, and trends should continue for the foreseeable future. The improving economy, job growth and a rise in consumer confidence will all play a huge role in the improving Nashville housing market. At its current pace, the Nashville housing market is trumping most other markets across the country. Real estate in The Music City is appreciating at a rate of 11 percent, nearly twice that of the national average. The current median home price is now $186,400. Even at this price and rate of appreciation, homes on the Nashville real estate market are still affordable. However, the real affordability lies in the distressed market. According to RealtyTrac, there are approximately 600 distressed properties in Nashville; that is 600 opportunities for those interested in Nashville real estate investing. Of those properties, nearly 70 percent are scheduled to be placed up for auction. The remaining foreclosures are all bank-owned, meaning they are just sitting there waiting to be purchased by savvy investors. However, the real kicker is the discount each of these opportunities represents. The median sales price of a non-distressed home in Nashville was $185,000. The median sales price of a foreclosure home was $95,700, or 48 percent lower than non-distressed home sales. That is a savings of almost $90,000. If that doesn’t get you excited about Nashville real estate investing, I don’t know what will.